Are you scared? Are you prepared? Are you really? The Queen Mary's Dark Harbor is Back! 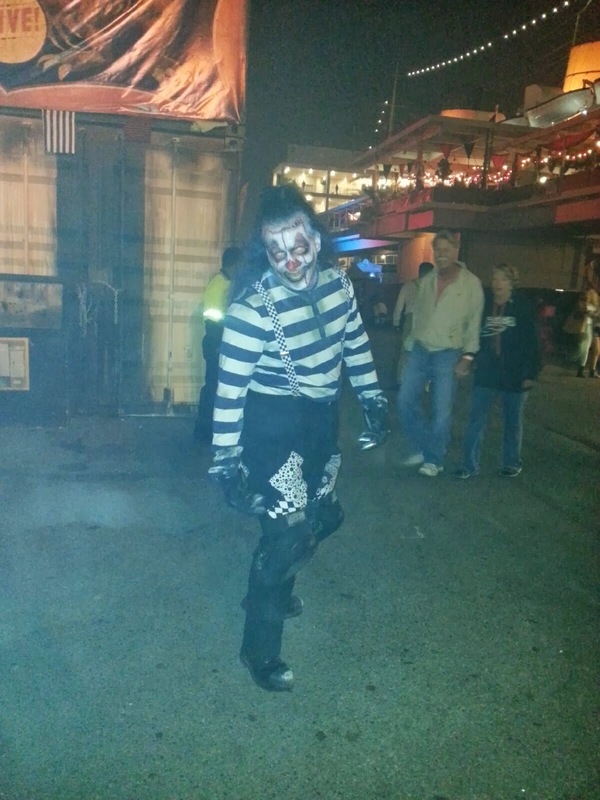 This year the ghosts are joined by New Spirits, Mazes, Freaks and Frights! 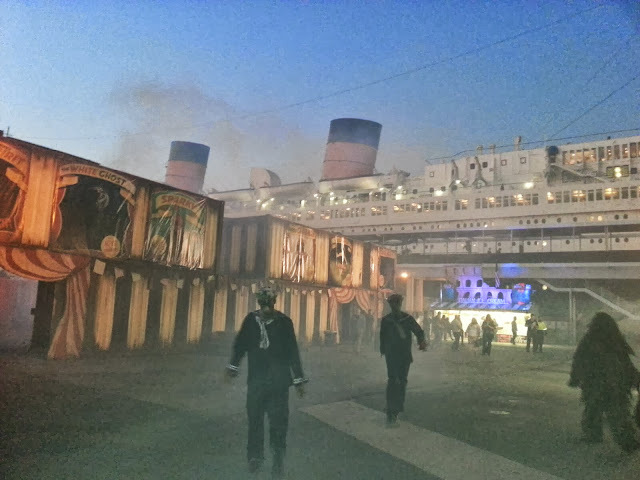 The Queen Mary will house a assortment of over 200 monsters in Mazes and Circus sideshows from October 3 through November 2, 2013. We were invited by the inhabitants to see if we really are afraid of ghosts... Not I! I love ghosts and ghouls and things that go bump, scratch and howl in the night. But seriously, I can't say it doesn't "worry" me sometimes! The 6 mazes are sure to take that California tan right off! If the Mazes don't make you change your underwear, try the Village of the Damned! While the Captain calls Deadrise his home, he has been known to wander with his minions around the Village! You will run from them in fear! DEADRISE: In this maze, the undead army has been called upon by the Captain to take over the Dark Harbor as he has in past years. Beware of Zombies! 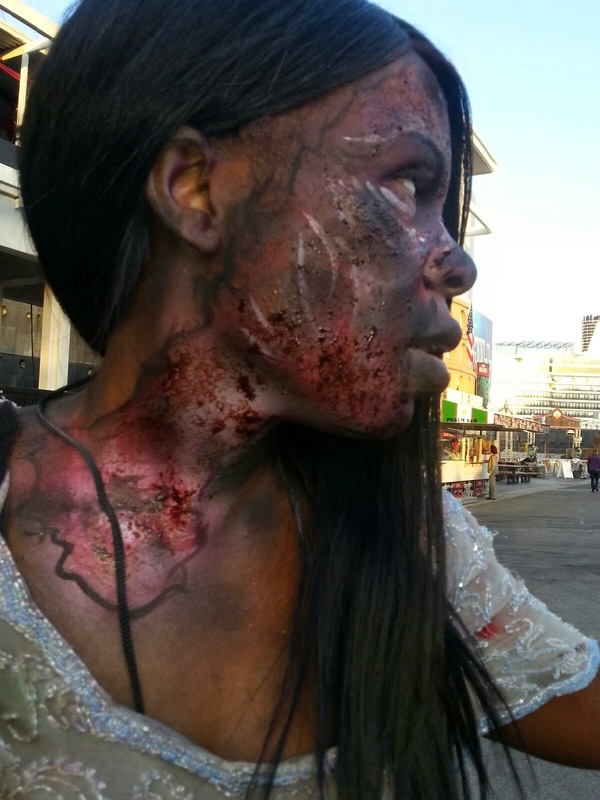 HELLFIRE: This haunted inferno will have you "dying" to get out! Henry is the monster in charge here. Watch your back, he is known to wreak havoc on the living and play tricks on them! SUBMERGED: This watery grave has taken fear to the next level! Imagine being on a sunken ship, not only do you have to save your life but your soul as well. Graceful Gale graces this maze like a siren. She calls the living in with her beauty only to take souls as well. If you avoided Graceful Gale, you aren't out of the woods yet! The young Mary, who drowned in the poolroom is always looking for a play mate! 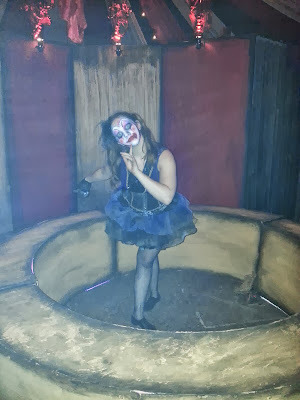 CIRCUS: The heart of Captains Carnival, your nightmares come to life! The Ringmaster guides you with his side show freaks of death. Fantastical fatal magic, wonders and disorientating illusions await you under the dome. CONTAINED: The home Samuel, a minor criminal locked up for petty charges. When checked upon during his cruise on the Queen Mary, he was found ripped apart from an unknown foe. In this maze it is fear itself that you must watch out for. If you survived the frightful mazes and Villages of the Damned, you are probably working up an appetite! 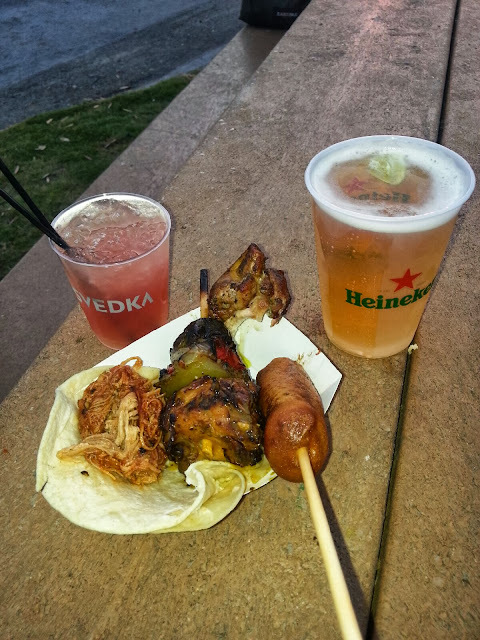 Food and drink stands are available. We were "Scare-in-ated" by the awesome band Rhythm Coffin with the Captain looking on. The Monsters of the Mazes don't always stick close to home! Look out! 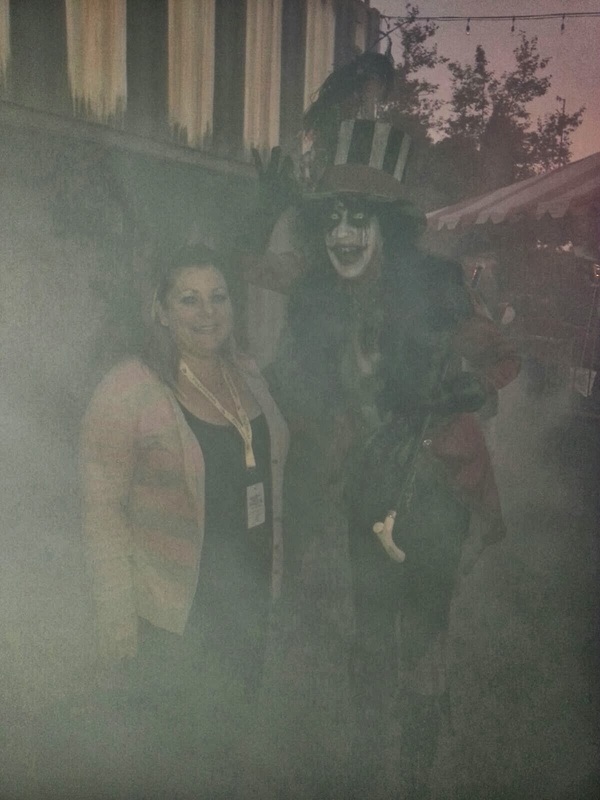 You never knew who was going to photo-bomb you and what really lurks hidden in the Freak Show! If you tire of the mazes, there are other frightful activities that you might enjoy. 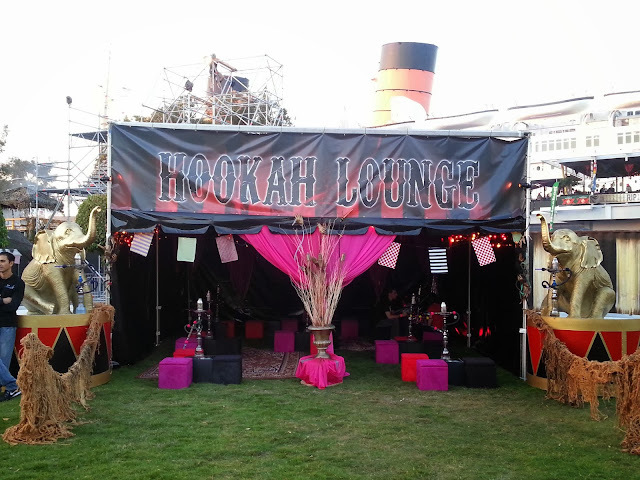 The Zipline, Ferrissqueal and Hooka Lounge might be more to your liking. 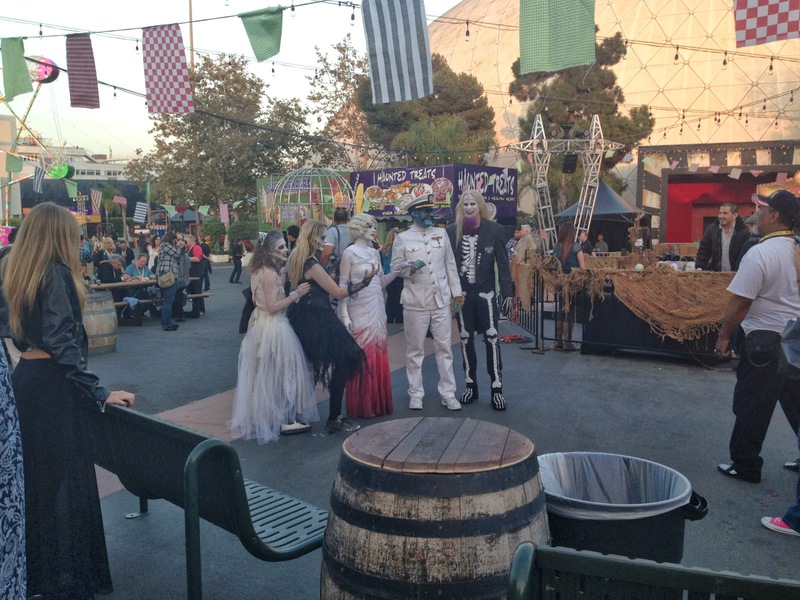 Don't take my word for the frightful going on's in Long Beach! Come check them out for yourself! This is not a kid friendly event. I do not recommend bringing children to the Queen Mary's Dark Harbor but it is an event enjoyed with other adults. DISCLAIMER: I received tickets to enjoy Dark Harbor for a special media night for review of this event. I did not receive any other compensation. Do not use any pictures without permission.